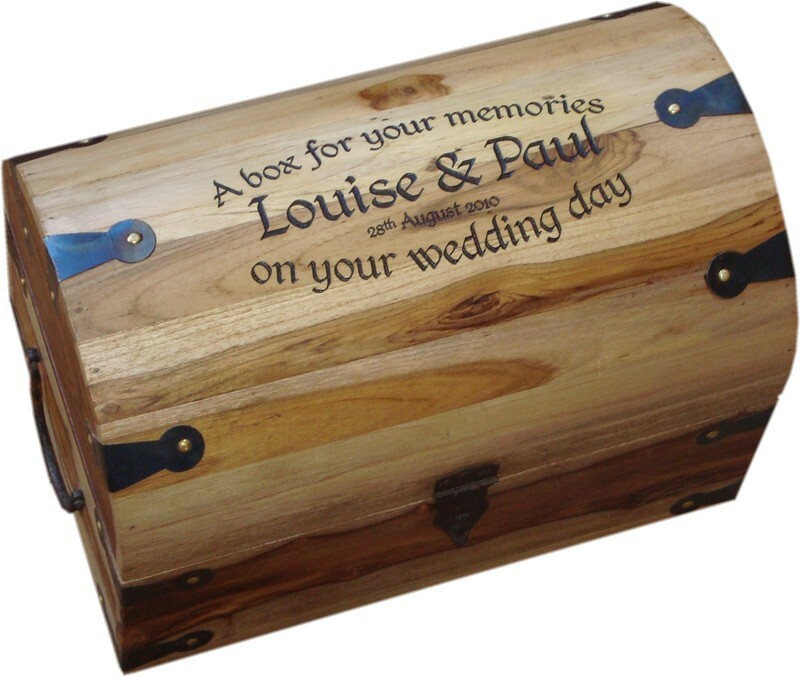 These chests are made from sturdy sheesham boards and have a lovely solid rustic appearance. They have antiqued banding that is blued and distressed on the corners attached with brass pins to add to that authentic pirate look. They can be personalised with whatever you want. 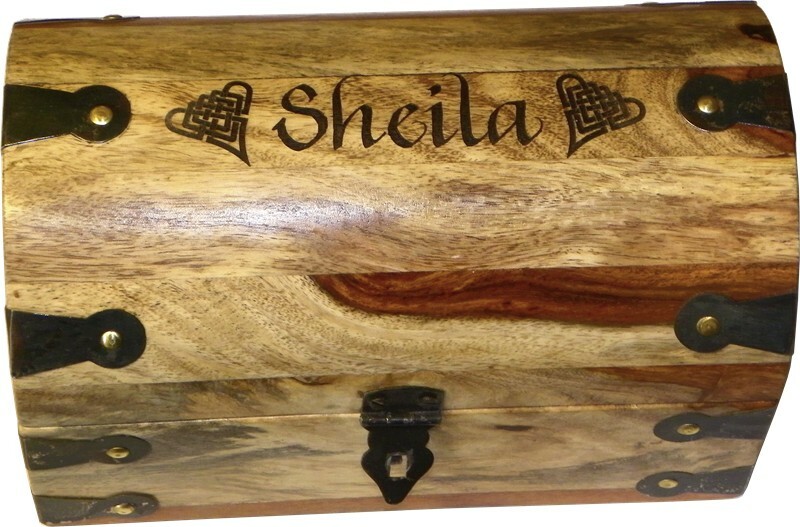 Celtic knots and antique writing styles tend to work best with the style of the boxes, but the choice is yours. They are available in three sizes and all contain a mixture of wood colours. 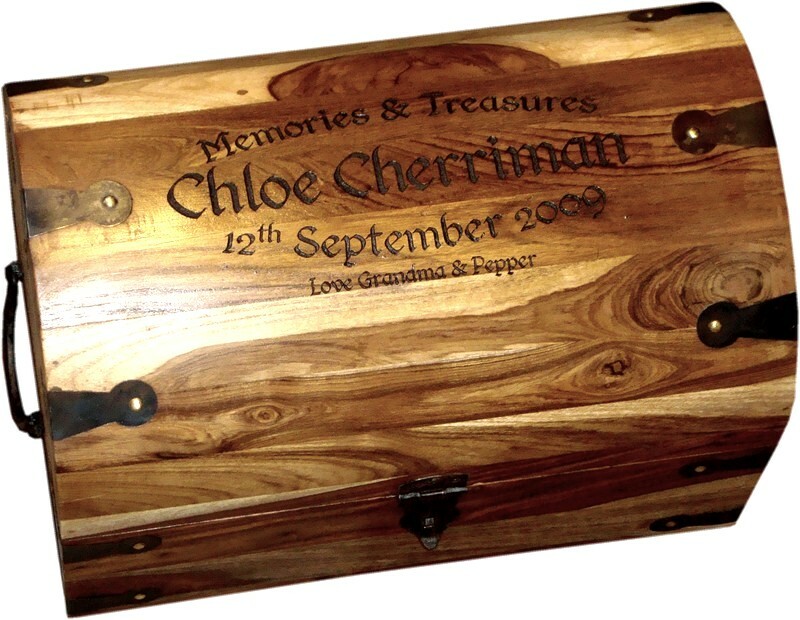 Why not buy someone a personalised chest as a perfect present to store their treasures in. 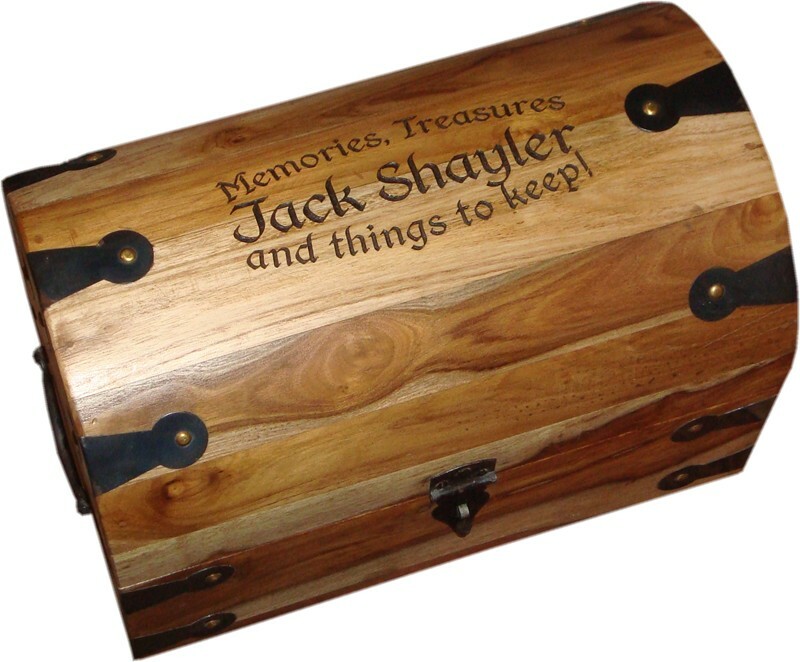 Treasure Chest (Medium) 11" x 7" x 8"
Treasure Chest (Small) 9" x 5.5" x 5.5"